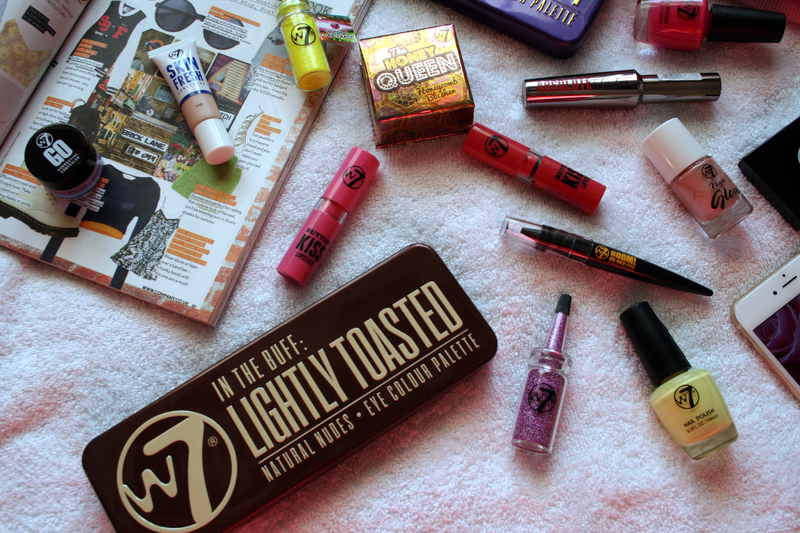 If you have been reading my blog for a while you will know that W7 are one of my favourite affordable brands. Along with being affordable their products are amazing quality, they are highly pigmented, long lasting and great to work with! I decided to throw a few of my favourite products together that I have tried so far as I definitely think they are worth trying out! You'd also be very surprised by the dupes you would come across! Yes I'm talking Benefit and Urban Decay dupes..W7 I worship you at your feet! Skin Fresh Concealer in Fair*: Theres nothing I love more than a good concealer that does it's job and does it well! This little gem I have been loving for covering any impurities and for under my eyes. It's not thick and doesn't crease at all. Once I've powdered it I know it will stay and not disappear after a few hours! Foundation wise I'm currently using Rimmel Match Perfection in shade 101 and this concealer is such a perfect match in the shade fair! These concealers are only £4.95 which is such a great price for this little gem. Go Corrective Concealer in Lavender*: Honestly what would we do without corrective concealers?! This particular one is in the colour Lavender which is great for hiding dark circles under the eyes and any dark spots. I use this under my eyes to get rid of the darkness and it really helps just brighten everything up and helps you..well look awake as sometimes we all need a little or alot of help when it comes to that. This is so pigmented and creamy! These are also only £4.95 and come in four different colours to help with different problems! In The Night Palette: One thing you may or may not know about me is I adore wearing purple eyeshadows. So when I got this palette for Christmas after swooning over it for a while I was so excited! The colours, oh my the colours are just go beautiful ranging from every shade you may need for a smokey eye ranging from greys to lilacs to purples to burgundys to blacks. Honestly it's a dream palette if you like to add some colour. The pigment is amazing and the shadows are all enclosed within a tin case to keep them all safe. What I also like about this palette is they've named the shades as sometimes I find some brands that sell cheap cosmetics just don't bother but W7 doesn't dissappoint with cute names such as 'Wonderland' ,'Razzamataz' & 'Summer' the list is really endless. These palettes are only £9.99 which is such an amazing price for 12 shades. Angel Eyes Palette in Out On The Town: When I'm travelling I prefer to bring smaller palettes for the reason being it's packing lighter and if something does happen to them I won't be as upset about it than if it was a palette consisting of 12 or more shades. This is the perfect palette for that! Consisting of 7 shadows and a little mirror it's perfect to fit into your travelling makeup bag. The colours range from nudes to browns to greens to blacks all assorting from matte to shimmers. As always the shadows are well pigmented, creamy and blend very well. This palette is definitely a great one to have as the colours can easily help you go from a day time neutral to a night time smokey look! There are two different shade ranges these palettes come in and they're only £6.95 each. Boom! Kohl Liner*: I couldn't live without eyeliner whether it be liquid (in fairness I do live without this one because I cannot get the hang of it), gel or kohl it really just brings an eye look together and if you're like me you love a good cat flick and won't leave the house without one! This was my first kohl liner that wasn't in a pencil so I didn't know how I was going to get on with it. Results - I love it! It's so creamy and contains little specks of glitter which I find so lovely. The tip of the product is in the shape of a point so you can go ahead and just use it on your eye but personally I like to use it with an angled brush simply because sometimes I'm a little clumsy. This product stays on all day and is such an intense bold black I really adore it! This will set you back only £4.95 which is such a great price as it will last you absolute ages. Nail Polish: There is nothing I love more than pretty coloured painted nails. W7 have their own nail polish range (yep they basically have thought of everything) and I adore them! The polishes are in the most gorgeous colours and are pretty long lasting and normally I chip my nails the same day I've painted them so these definitely have good staying power. The colours pictured above are Raspberry Sorbet (which is definitely my favourite Barbie pink colour) and Lemon Sorbet*. The nail polishes are all only £4.95 each. 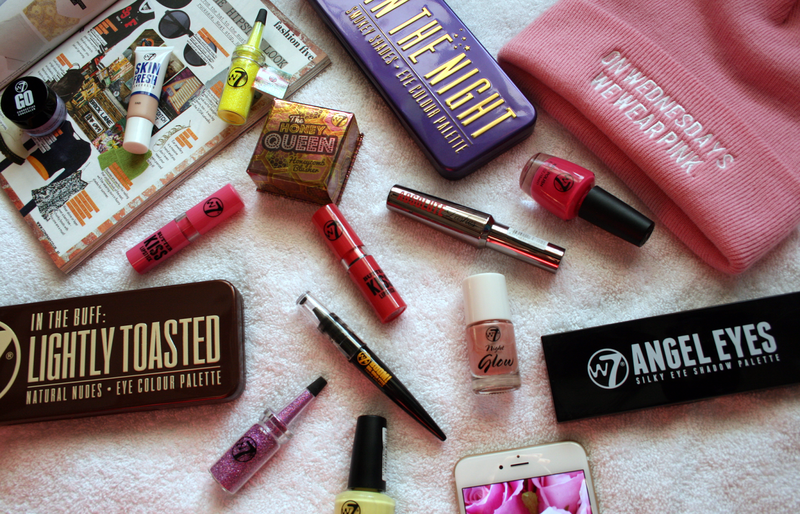 W7 have such a huge range of products to offer and I cannot wait to get my hands on some of their other products to try them out. I have yet to try a product that actually lets me down! They are also releasing some new products which I am so excited about. You can find a whole list of their products and prices here. Please note that all the prices in this post were taken from the official website and depending on where you buy from prices may vary. I love W7 products! I've already reviews the In the Buff palette on my blog and have a mini haul of some more of their products coming up in the next few days :) Some of their things really are amazing value for money! Love the eyeshadow palettes, the dupes for the naked palettes are so good! Oh my god! I've never even tried anything but their eyeshadows before! Definitely going to have to try some of these out, such good value for money! W7 isn't a brand I'd usually try, but after reading this I'll definitely give them a go! I have a bit of a palette addiction, but of course there's always room in my heart (and on my vanity) for more.. so I think I'm going to have to buy all the palettes you've shown here!